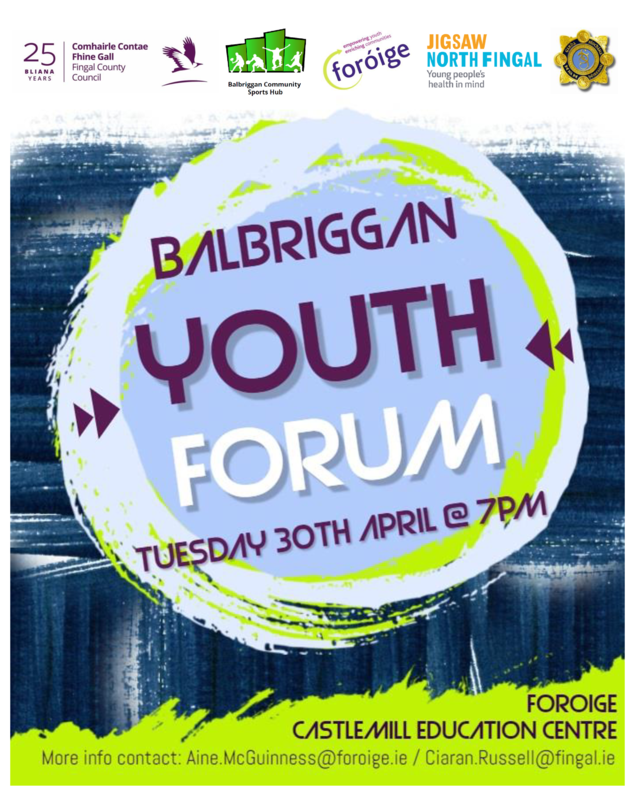 Foroige, Fingal County Council Sports Office, Jigsaw and An Garda Síochana are establishing the Balbriggan Youth Forum so young people can voice their opinions in relation to youth needs, mental health, youth sports and youth events. This will give young people the opportunity to shape what may be available for young people in Balbriggan now and in the future. The aim is for the youth Forum to meet 4 times a year to discuss challenges, ideas as well as to highlight the positive news of youth in Balbriggan. We are inviting any young people that may be interested to attend with a view becoming actively involved in the group going forward.